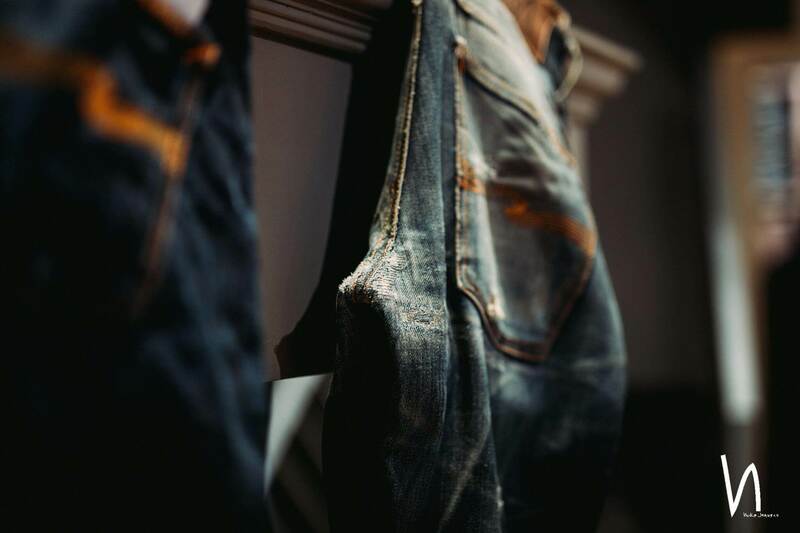 Robin Denim | Nudie Jeans x Robin Denim Wear & Tear Contest – And the winner is..
Nudie Jeans x Robin Denim Wear & Tear Contest – And the winner is..
Just a few days before the start of the Amsterdam Denim Days in 2017, we announced a fading contest in collaboration with Nudie Jeans. Four Dutch seasoned denim heads started to wear the same pair of jeans, from the same day trying to create extraordinary fades. 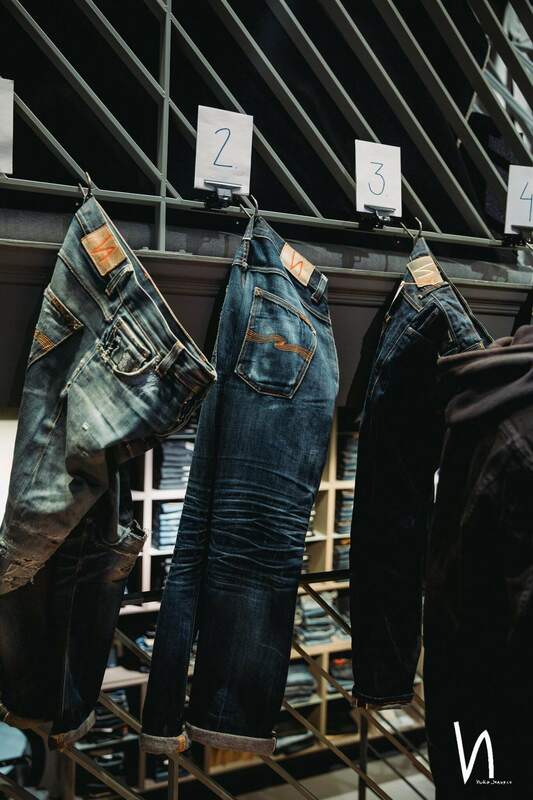 At the Amsterdam Denim Days 2018, the Wear & Tear Contest, as we like to call it, officially came to an end. In the past 12 months, the contestants have been wearing the Grim Tim, one of Nudies most popular fits. It is made of a 13.5 oz. 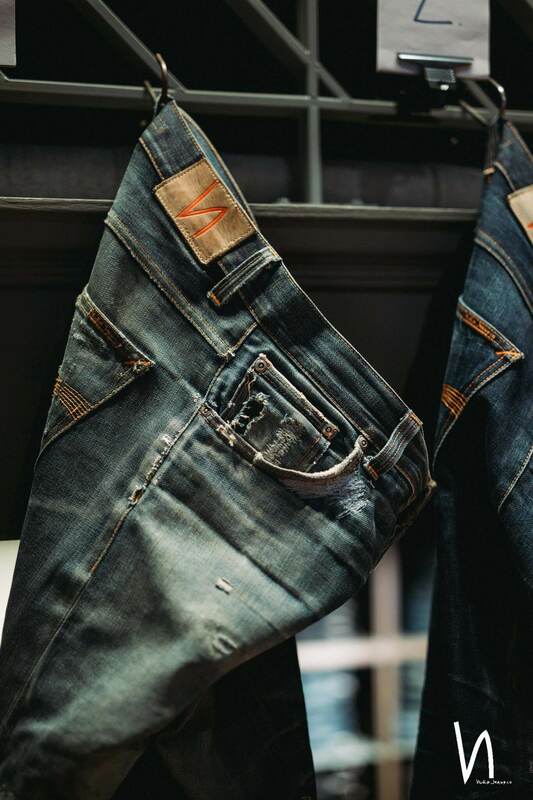 Japanese selvedge denim and woven at Kaihara Mills and is known for its fading potential. From the very first day, all four guys have been rocking the contest jeans as hard as they could, trying their hardest to obliterate it. After just a few weeks, the differences were already quite visible, and from that moment the game was on! Today, we’ve come to the final stage of the contest: the announcement of the winner! Before we head over to the official ceremony, we will first describe how we came to the winner. And, just as a reminder, the winner will receive €300 store credits, that can be spent at the Nudie Jeans store in Amsterdam. To choose the winner, we selected two moments that promised to be a gathering of denim heads, to guarantee expertise and impartiality. 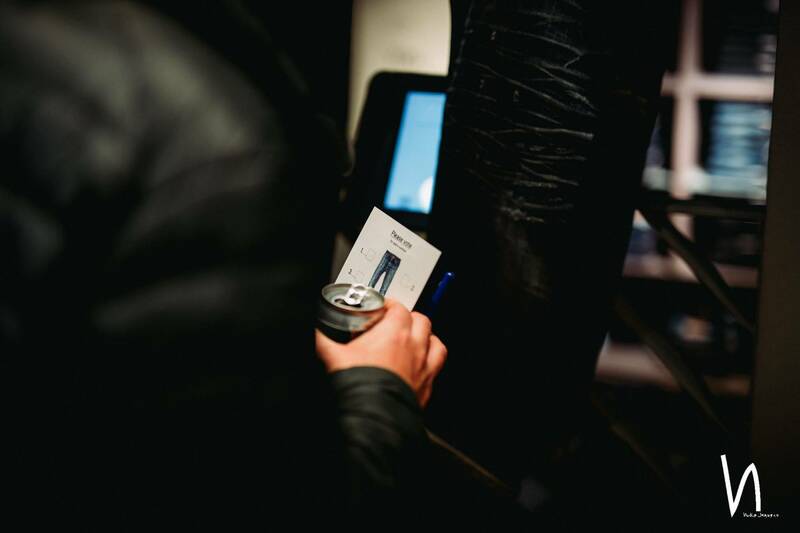 On both the 1st anniversary of Nudie Jeans Amsterdam, as well as the Amsterdam Denim Days, all visitors had the opportunity to vote for the sweetest faded pair of jeans. 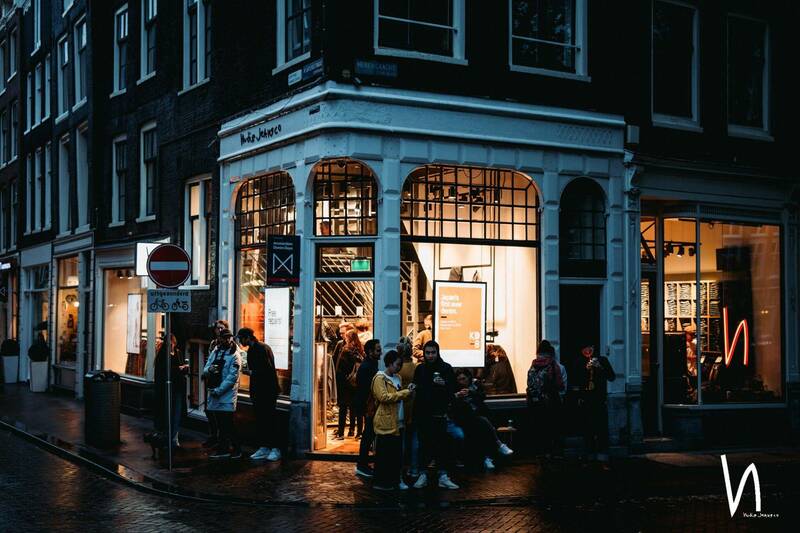 On October 24th, Nudie Jeans celebrated their 1st anniversary at the Hartenstraat, in the ‘Nine Streets’ district in Amsterdam. Since it was organized during the Kingpins tradeshow, Amsterdam was hosting countless denim heads from all over the world. Many guys came together at the Nudie Jeans party for a few beers to celebrate their first anniversary. 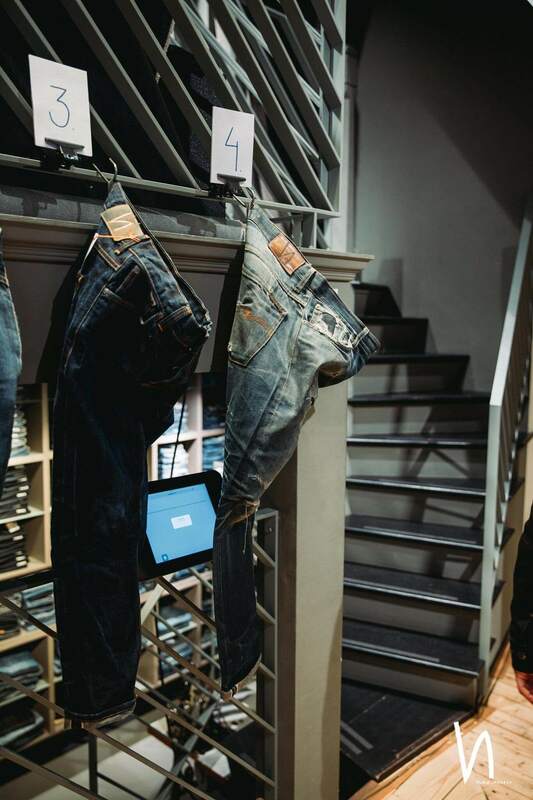 The four worn-out pairs were displayed at the entrance of the store, and many denim experts gave their vote. 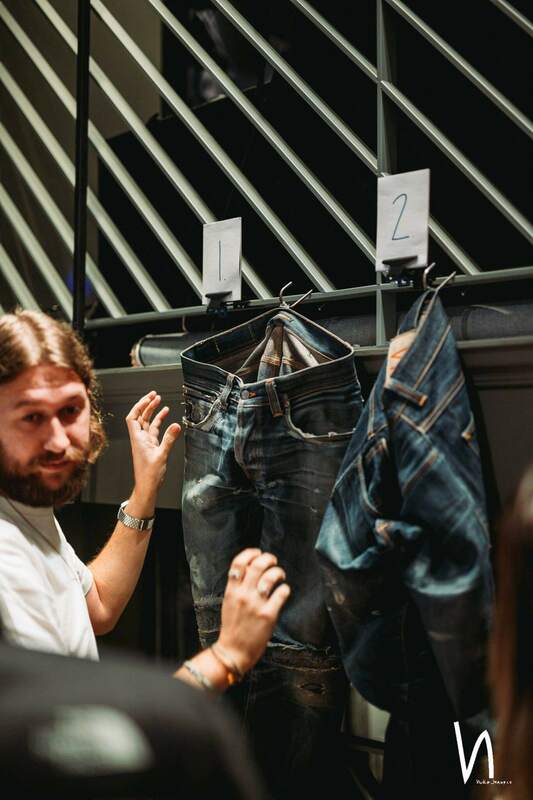 After the celebration, team Nudie Jeans took the jeans with them to the Amsterdam Denim Days festival at the Westergasfabriek in Amsterdam. During this fantastic denim celebration, Nudie Jeans had a nice booth harboring a highly-skilled repair hero. Next the sewing machine, the contest jeans were neatly put out on display, and all visitors were asked to vote for their favorite Wear & Tear contest jeans. After counting thousands, if not millions, of ballots, you chose the winner together! Because we were present at both of the voting moments, we have seen the appreciation of the ones giving their votes. It was funny to see that most women chose the more ‘cleaner’ faded pairs, while most men tended to vote for the heavily faded pairs. Okay, there’s nothing left to do but to announce the winner… The winner of the Nudie Jeans x Robin Denim Wear & Tear contest is @jasonvanpul! Congratulations Jason, next to eternal fame, you will receive €300 of store credit, that can be used in the Nudie Jeans store in Amsterdam. Teun, Roman, and Maurice, thanks for the fantastic journey… you guys have shown us the meaning of love for denim and dedication! We have been enjoying the contest, the denim talks, and the fades immensely.